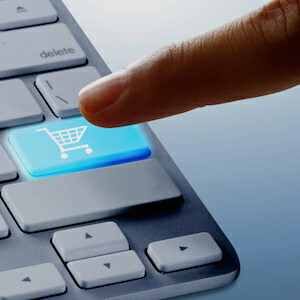 Are You Leveraging the Right Tools for Marketing Your E-Commerce Site? No matter what type of marketing campaign you’re working on, I can’t overstate the importance of analytics. Top online marketers are able to achieve conversion rates over three times higher than their competition just by virtue of investing in analytics, testing, and optimizing. Try to leave room for changes in the design of your campaigns. And, as data comes in, start thinking of ways to change them to accommodate your customers. That way, you can make immediate use of what you’re learning about what works and what doesn’t. Make a habit of conducting A/B testing for all of your marketing efforts. Let the data you receive determine which option you should go with over the long term. That said, in this post, I’ll briefly run through several forms of marketing and touch on some fundamental ways to implement them. Some of this advice may seem simplistic, but you’d be surprised how far you’ll get just by making sure you’re doing these things. A lot of that has to do with the fact that many of your competitors are doing them! Developer Tools, the “batbelt” of developers everywhere, generally stirs up conversations telling you about what you should and shouldn’t use. However, I’ve always had a different take on it, I change my toolset based on the work that I’m doing. When I was a .NET developer I worked on Windows and in Visual Studio. With WordPress and PHP development, I’m not going to use those tools as I don’t have to. So having said all that, I’m going to tell you what works for me and in general I try to use the bare minimum to get stuff done here at WooThemes. With so much code to write, I don’t want a million apps and settings to go by – I just want to login, write code, and deploy.